Bobby Blakley serves as Regional President for the West Virginia Region of BB&T. 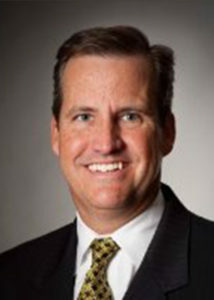 He manages the West Virginia franchise and is responsible for BB&T’s banking operations in 26 counties and 73 offices. Bobby is a twenty eight year banking veteran that has been employed by BB&T since 1988. He has served as a Financial Center Manager in Greensboro, N.C., a Business Services Officer in Sanford and Greensboro, N.C., a Corporate Banker in Greensboro, N.C. and an Area Executive for the Atlanta Region. He was named Regional President of South Atlanta in January of 2006, Regional President of North Atlanta in March of 2008, and Regional President of WV in December of 2011. The North Carolina native earned his Bachelor of Science Degree in Business Administration from the University of North Carolina at Chapel Hill. 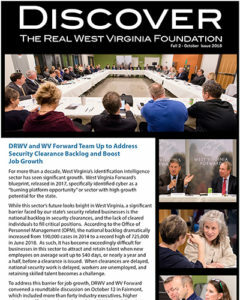 Bobby currently serves on the Boards of Directors of the West Virginia Bankers Association, the West Virginia Chamber, the Clay Center for Arts and Sciences, the Buckskin Council of the Boys Scouts of America, the Discover the Real West Virginia Foundation, the Visiting Committee for WVU B&E School and he is a member of the Rotary Club of Charleston and the West Virginia Roundtable. He and his wife Marsha live in Charleston and have two sons, Cameron and Connor. 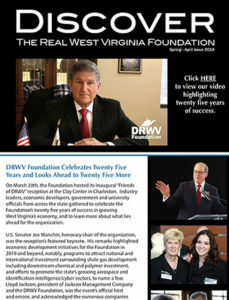 Discover the Real West Virginia Foundation, Inc.
© 2019 Discover the Real West Virginia Foundation. All Rights Reserved.